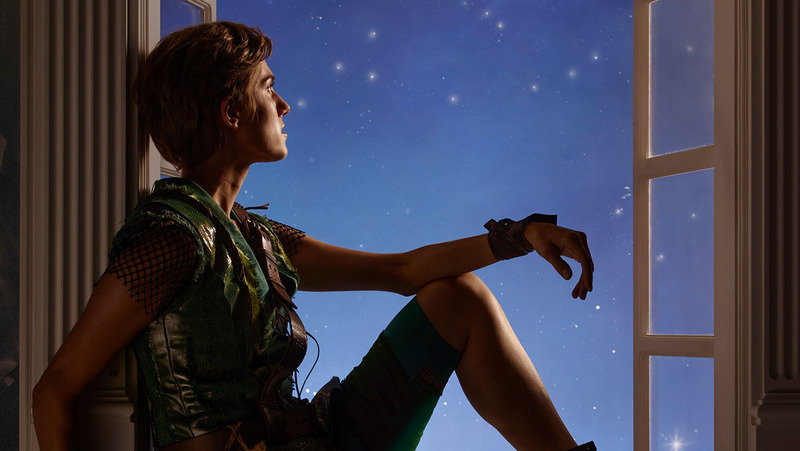 Movie Review – Peter Pan Live! Last year it was The Sound of Music Live!, this year it’s Peter Pan. I didn’t much like last year’s production and wasn’t sure I would be enjoying this new live performance tradition. It’s not that I dislike the theatre, far from it. I’m a thespian at heart, a community stage guy, and actually played Captain Hook in high school, for what that’s worth. No, what I don’t enjoy about made-for-TV live shows is crappy talent. And I think we all know who I’m referring to *couCARRIEUNDERWOODgh*. She single-handedly destroyed the show, delivering an acting performance on par with junior high leads, a complete abomination. I’m only barely being slightly over-dramatic; she was that bad. She messed up what was a cool concept, a throwback style, a nice way to see some professional theatre. Well, I’m glad they & I gave it another go, because this year beat out last year by a mile. We all know the story of Peter Pan and Neverland. In this stage version, Wendy, John, & Michael live in London with their parents & their dog Nana, telling fairy tales by gas lamp light before bed and dreaming of fantastic adventures. Peter, a boy who can fly and never grows old, visits the nursery in secret to hear the stories, relating them to his Lost Boys back on the island of Neverland where no one ever grows up. After entering the children’s room to recover his shadow, he meets them and invites them to fly away with him to the land of possibility. There they learn about Tinker Bell, the Lost Boys, Tiger Lilly, and the dreadful Captain Hook. The Boys make Wendy their honorary mother, but Hook wants her as his own, if only to injure Pan before Hook ultimately does away with him. A battle ensues, youth fighting the evil of the world, and the legend of Peter Pan is born. It’s an old story that most of us grew up with in some form or another, be it the book or the Disney movie, or perhaps the Mary Martin version so many years ago. But it’s a compelling plot that we can all relate to in some way, the idea that this boy embodies freedom and refuses to grow up into a man. The fact that Peter is usually played by a girl has never really bothered me; they need a light weight to fly around and anyway, Peter isn’t supposed to be butch. So I’m a fan of the show, loved being a part of it in high school, and enjoyed seeing it put on at such a high level. The songs are great: I’ve Gotta Crow, I’m Flying, Hook’s themes, I Won’t Grow Up, Ugg-a-Wugg (which they changed to be a little more PC), Never Never Land. It’s a long list of timeless music that’s simple and catchy, that’s pretty easy to sing and to put on at nearly any level. Really, it’s a tremendous play that deserves this modern temporary revival. But on to the actual performance on live television; it was better than I had expected. Going in, I thought that Allison Williams would be high quality but that Christopher Walken would phone it in. 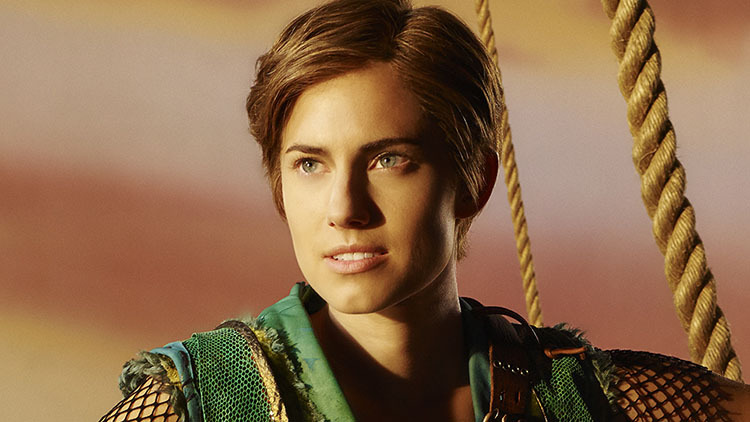 Well, Williams as Pan was pretty good. She played the part well, with an air on nonchalance and an impish grin. Her singing was only alright, as she doesn’t have the powerful vocal to wow audiences or even to hold out great notes. Compared to the new face that played Wendy, Williams came off sounding like an amateur. But her acting was good and that matters more, as Peter needs to be the emotional leader of the play. As for Walken, he & his pirates stole the show. I remember that happening in other productions as well; the pirates have the best lines, the best dances, the funniest moments, and are tailor-made to run away with all the praise. Walken played Hook with a kind of lazy evil, a casual killer instinct. 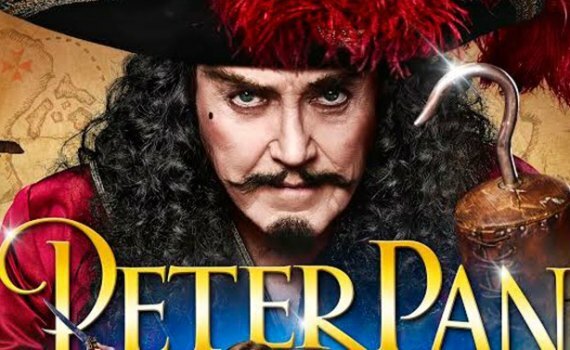 Combined, the pair of enemies made the whole thing feel laid back rather than dramatic, which was fine by me; Peter Pan isn’t the most serious of shows. It was a bit long at three hours, complete with commercials, but the sets were amazing, there weren’t any glaring mistakes, and all involved has a great time, allowing the audience to do so as well.